Ryan McCortney is a partner in the Labor and Employment Practice Group in the firm’s Orange County office. Mr. McCortney represents employers in litigation and labor and employment law matters. He counsels companies in a variety of industries ranging from aerospace to insurance to software. 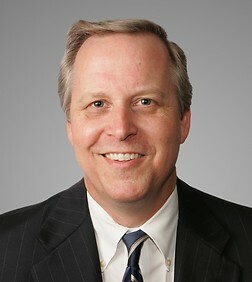 Mr. McCortney also represents employers in state and federal trial court and appellate proceedings as well as administrative proceedings before the National Labor Relations Board, the Equal Employment Opportunity Commission, the Department of Fair Employment and Housing, the U.S. Department of Labor, the Division of Labor Standards Enforcement, and OSHA. Mr. McCortney litigates employment-related claims, including wrongful termination, breach of contract, discrimination, harassment, retaliation, wage/hour disputes, unfair labor practices, misappropriation of trade secrets, and unfair competition. He represents numerous employers in class action lawsuits and has litigated claims arising out of partnership disputes. He counsels employers on state and federal laws and regulations as well as IRCA and immigration matters. Mr. McCortney was on special assignment at a large aerospace company from May through September, 1991 where he advised all levels of management on employment issues. Mr. McCortney argued before the United States Supreme Court on behalf of the employer in Hoffman Plastic Compounds, Inc. v. NLRB, 122 S.Ct. 1275, 535 U.S. 137 (2002), in which the Court found in favor of the employer in a 5-4 decision. The case involved whether undocumented workers are entitled to backpay under the National Labor Relations Act.